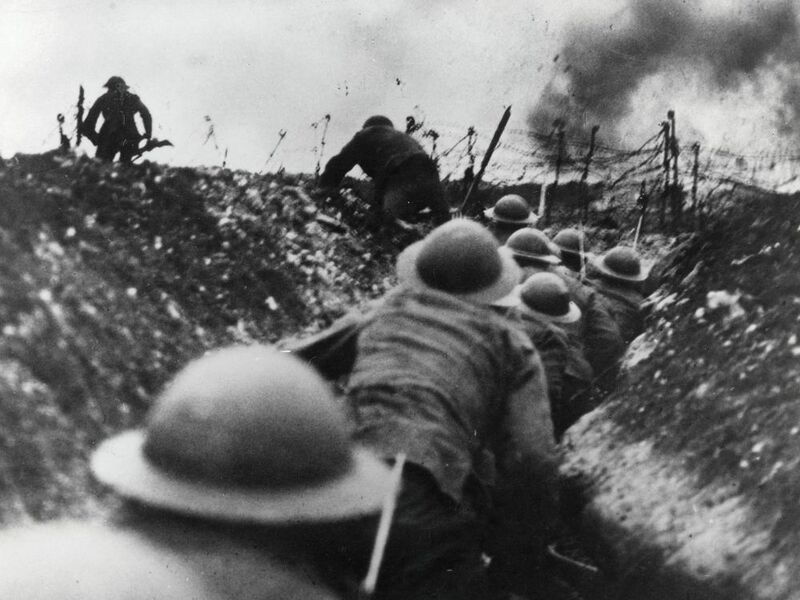 British troops during the Battle of Somme in 1916 in World War I. The British-French offensive saw more than 1 million casualties. 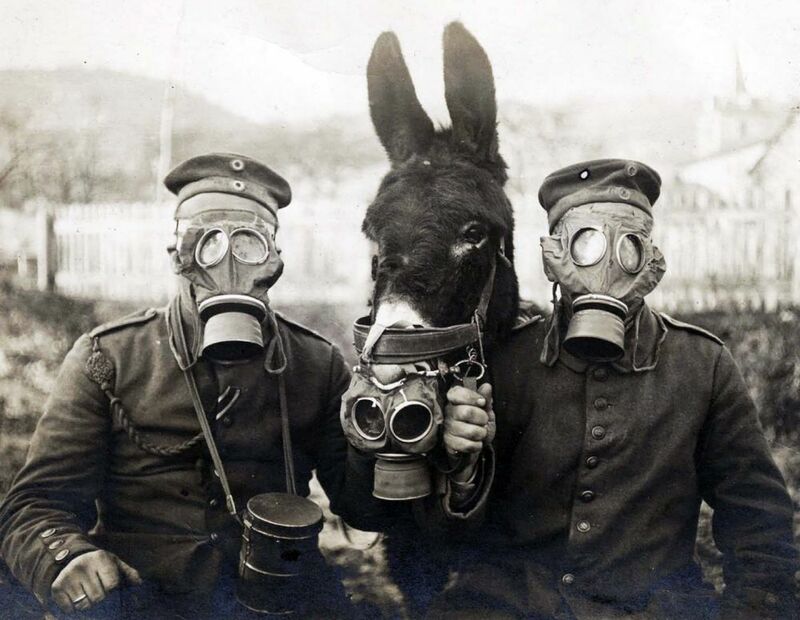 German soldiers and mule don gas masks in World War I.
U.S. soldiers of the famed Harlem Hellfighters wear the French Croix de Guerre for gallantry in action. 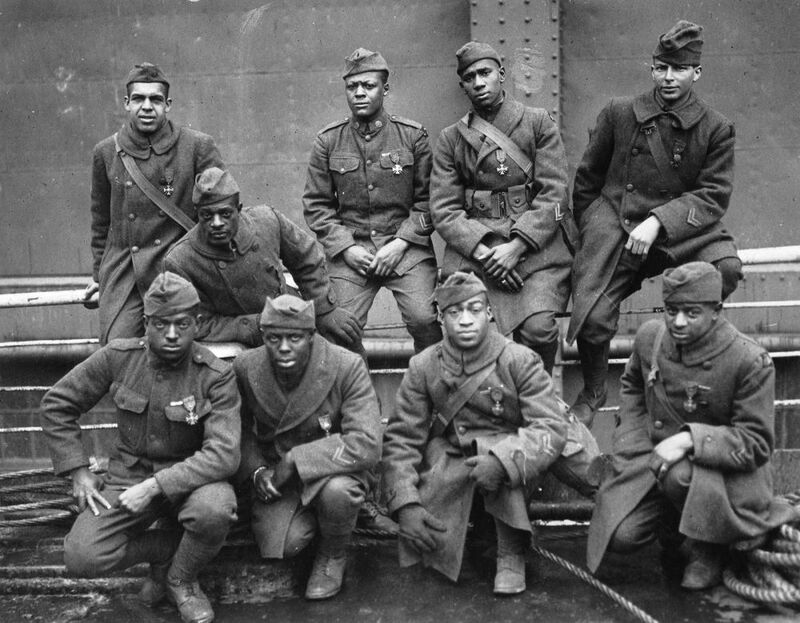 Their unit, the 369th Infantry Regiment, was the most battle-tested of U.S. forces in World War I. World War I was deemed the Great War and “the war to end all wars.” Today we might marvel at the idealism of those who hoped for an end to war. And why not? The war ended 100 years ago and its horrors — upwards of 20 million dead — have faded into grainy black-and-white photos. Arai will perform “A Sacred Suite,” written by renowned carillonist and composer Geert D’hollander. The piece was written for the dedication of a new Peace Carillon in Leuven, Belgium, on the day of the recital. “Carillonists around the world will perform the piece on the same day in a show of solidarity and expression of peace,” he said. Named university carillonist in fall quarter 2018 to replace the retired Margo Halsted, Arai manages the 61-bell carillon in Storke Tower, built in 1969 and named for Thomas Storke, the influential former publisher of the Santa Barbara News-Press. UCSB’s idyllic setting and the passage of 100 years can make WWI seem like an abstraction. But Lee noted that the modern world still lives with the consequences of the war, both here and abroad. At home, he noted, identities in the U.S. were reshaped after the country entered the war, as official propaganda and popular hysteria targeted German immigrants and culture. Salim Yaqub, a UCSB professor of history, noted that one of the lessons of the war — which trapped millions of soldiers in a stalemate of death — was to look beyond your own self-interest. “One thing the World War I experience shows — and this applies to personal relationships as well as to affairs of state — is how crucial it is to consider how things look from your rival’s perspective, and to always give your rival a graceful way to avoid conflict,” Yaqub said.